This isn’t the first time this year — on July 19, a mountain lion and her cubs (perhaps the same one?) were spotted at the Greek Theater. -Watch the cat at all times. 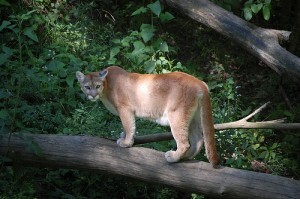 Lesson learned: when spotted by a mountain lion, don’t act like a child — grow up. Fast.